Memory foam cushions are often a favorite for those who use a wheelchair on a daily basis. The General Use Back Cushion with Lumbar Support, by Drive Medical, will quickly become a favorite, especially for those with sore and tired backs. It is comprised of memory foam designed for wheelchair users who not only need the material's unique comfort and feel, but decent lumbar support. This wheelchair cushion is contoured with a slight curve to improve posture and to present the first point of contact to the lower back, so it can sink in for full support. The cushion has a rigid masonite board secured to the back so it straps easy to the frame without awkward flexing or hammocking, especially with sling-back wheelchairs. 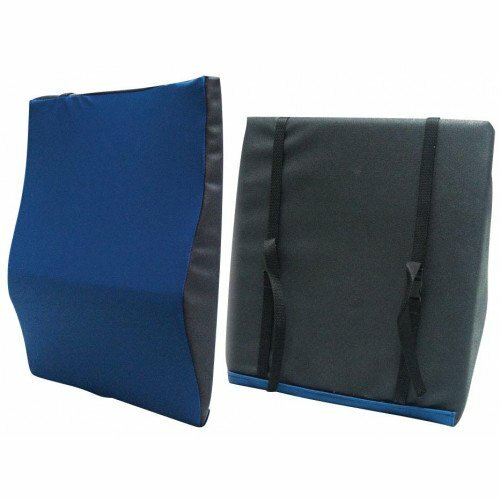 This Drive Medical wheelchair cushion has a sealed liner to protect the foam core from moisture. On the back of the cushion is a layer of non-slip vinyl to keep it from sliding. They also have several selections of sizes to match the dimensions of most wheelchairs. The cushion is made of memory foam to provide both comfort and security. The lumbar support at the bottom will give the lower back extra support. The lower back support will help prevent fatigue and back soreness. The cover is sealed and will prevent moisture from entering the foam core. 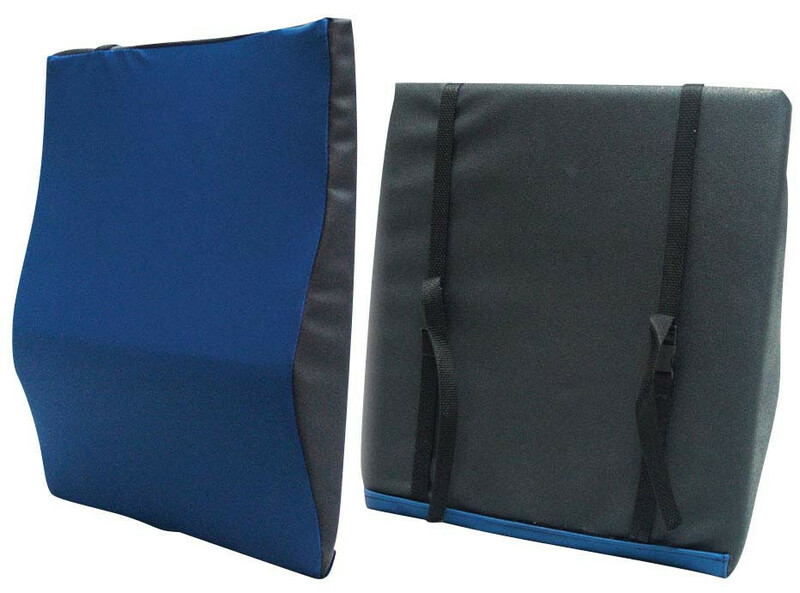 The cushion back has a rigid board to keep the foam from flexing and makes it easier to attach to the frame.